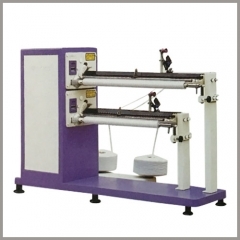 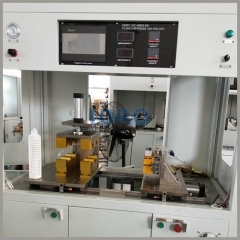 Pleated filter cartridge machine/production line is specially for making liquid filtration pleated filter cartridges. 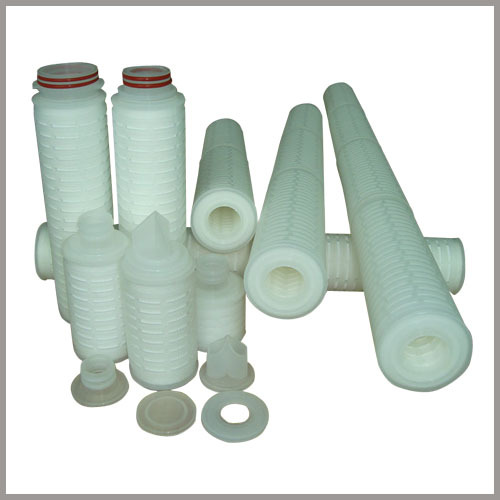 Auto filter cartridge, water or drinking fountain filter cartridge, PP pleated filter cartridge and other kinds of pleated filter cartridges are available, normal PP pleated filter cartridge and big and fat pleated filter cartridge are available. 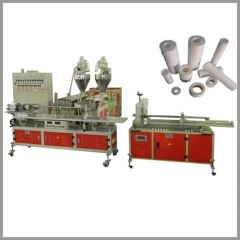 Pleated filter cartridge machine/production line is specially for making liquid filtration pleated filter cartridges. Auto filter cartridge, water or drinking fountain filter cartridge, PP pleated filter cartridge and other kinds of pleated filter cartridges are available, normal PP pleated filter cartridge and big and fat pleated filter cartridge are available. 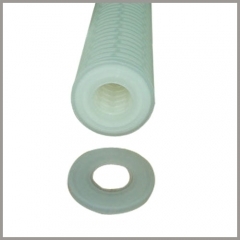 10”, 20”, 30”, 40” pleated cartridge and active carbon filter cartridge is available. 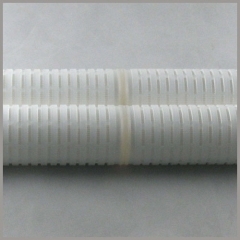 pleated pp filter cartridges size:5", 10", 20", 30" and 40" and other customized size. 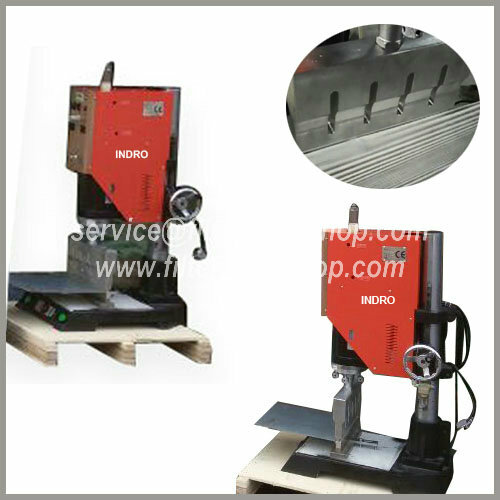 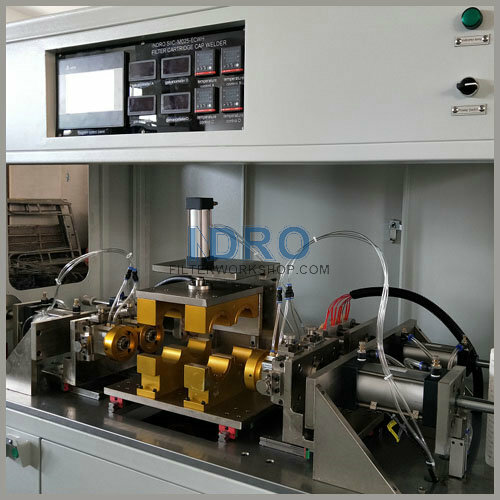 Shanghai Indro Industry Co., Ltd is manufacturer/supplier of pleated filter cartridge making machine/pp filter pleating machine/welding machine. 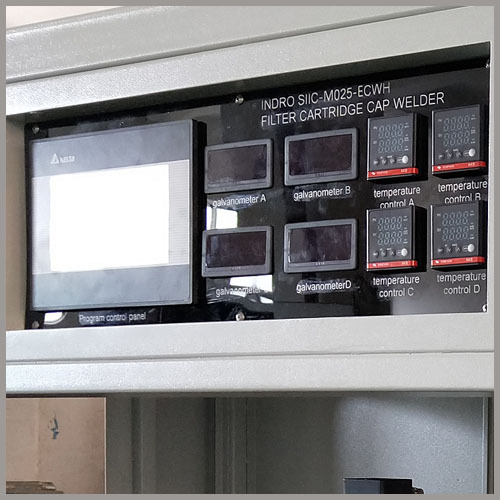 SIIC-M025-EW: PP/polypropylene pleated cartridge-ends welder, special for welding different types of ends of pp pleated filter cartridges. 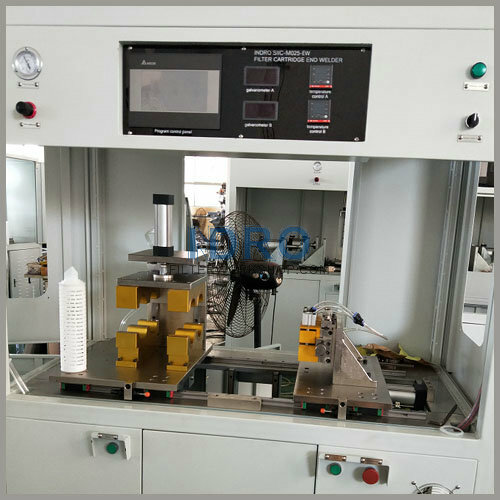 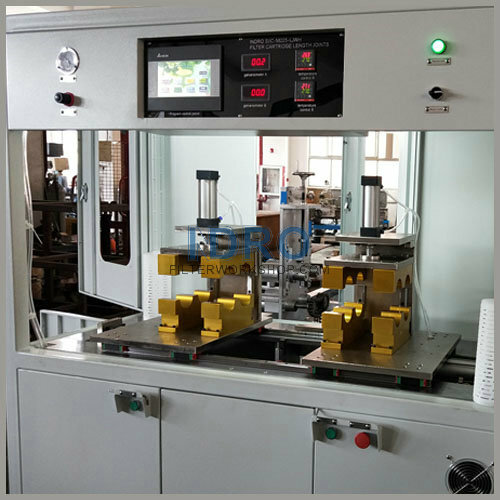 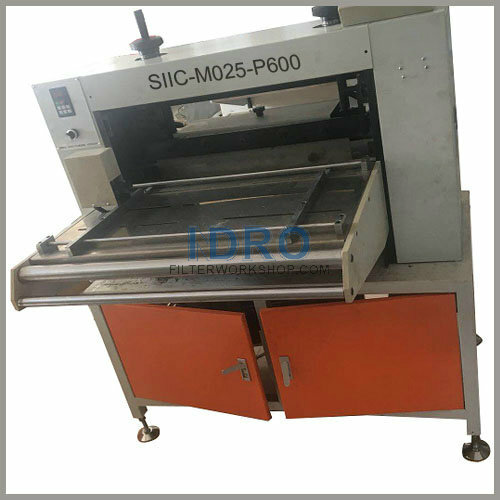 SIIC-M025-LJ: PP/polypropylene pleated cartridge length joints welder, special for connecting cartridge together to become longer cartridge, such as 20", two parts, one joint, 30" three parts with 2 joints, 40" 4 parts with 3 joints. SIIC-M025-LC: PP/polypropylene pleated cartridge length cutter, special for cutting cartridge length. 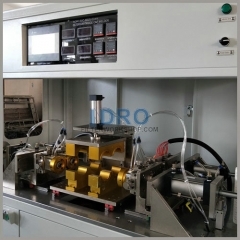 As one filter machine and supplier, Shanghai Indro Industry Co., Ltd is making and supplying Microporous folded filter machine,PP Pleated Filter Cartridge machine,Pleated Filter welding machine. 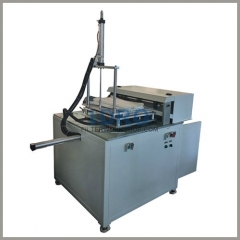 -Length jointing/connecting: for 20”/30”/40” long pleated filter cartridges, normally using pleated filter cartridge length connecting welder to weld 2/3/4 pieces of 10” pieces together to complete 20”/30”/40”long pleated filter cartridges.